Home / Reviews / Technology / Important 100 Collected Full Forms You Should Know! I know the article is late a little as usually it does not. The reason is simple as it took me to collect data from various sources, arranging them in well-defined categories. It is an obvious thing that doing such an arrangement needs time. Despite it, I've to maintain college study as well. OK, whatever, let's leave it. What I have for you, everyone should learn this. This is important for everyone. 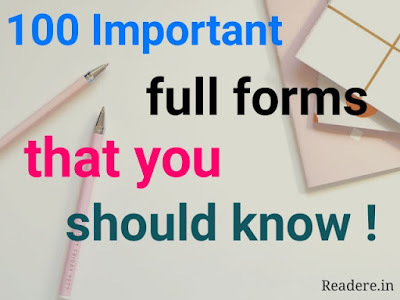 So, I'm presenting you 100 full form, I guess you should know, it will be important for you in every way. 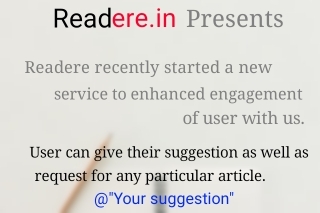 Let me tell you, they are divided into then sub-categories like medical related, internet and, web protocols, various courses and many more like same. Here we go. So guys that was it. Hope it was and will be very helpful for you one way or another. I will be sharing more important information and trivia in upcoming articles. Stay connected.